Valentine’s Day Page Sets 2016! It may be hard to believe but February is already here! This means that Valentine’s Day is heading towards us at speed so it’s time to get our act together. If you’ve already planned some ‘love-themed’ offers and discounts then make sure they’re clearly displayed on your website, blog and social media. Remember you can make a social media status (by going to the desired status, clicking the little downward arrow and selecting ‘pin to top’) or blog post ‘sticky’ so that it stays at the top of the page. On the other hand, if you’re a bit stuck for ideas we’ve got just the thing. We’ve created some Valentine’s Day page sets, displaying a range of offer ideas, that you can automatically add into your website. This is great for increasing sales at this quieter time of year and for boosting search engine optimisation. The offer examples are a boudoir parcel, engagement or anniversary package, a family photo shoot and a you-and-your-pet session. Of course, you can easily customise any offer to make it more appropriate for your business and customer base. Install them now to get the maximum amount of selling time! 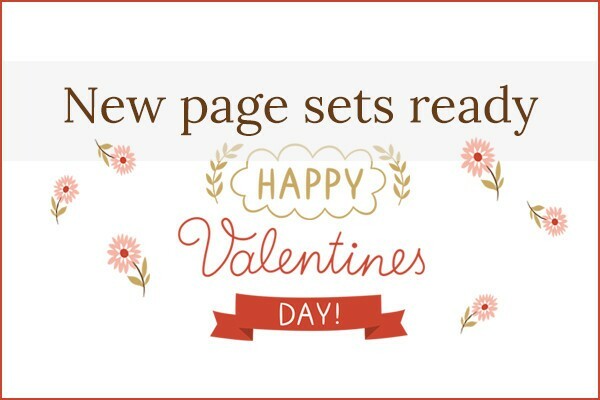 Valentine’s Day Page Sets! New Slide Show Music Available! Focus On….Peter Barlow!